What YOU NEED To Know About The Front Lever! If there’s ever a move that looks simpler than it is, it’s the front lever. Holding one requires no flexibility and no balance but a BUCKET LOAD of strength. It’s also easy to get into it terms of position. It’s non complex unlike the back lever, you don’t have to invert and it’s relatively easy to know when you’re horizontal. Despite these facts holding a full front lever is an incredibly tough feat – and one that isn’t unlocked without massive investments of time and massive gains in strength. I recently nailed a 5/6 second hold at a bodyweight of 83/84 kg and figured it was time to elaborate on this elusive static hold. If you’re anywhere near holding a full front lever you’ve probably heard/read a ton of different theories……………. To be honest there’s probably more out there but I will do my best to sift through and filter the good from the bad. Before we go further, I’d just like to say these are my personal opinions and just because I say something doesn’t sound like a good idea to me, it doesn’t mean the idea won’t work for you. A common idea with regards to muscle distribution in the front lever is the back does 70% of the work and the core does the remaining 30%. I’d say I tend to agree. We can never be exactly sure but you could find someone with the strongest core in the world, and if they haven’t developed their upper back musculature, they’ll have ZERO chance of holding a front lever. With that said, exactly what back muscles are used in the front lever; what are the PRIME movers? Simply developing the lats alone here is a big mistake. Once upon a time I (arrogantly) thought I could almost ‘fluke’ my way to a front lever by just getting my pull up/chin up strength to godly levels. Now this can be done and has happened. I think I’m right in saying the legend that is Zef Zakaveli achieved his front lever this way? Having a better strength ratio between these muscles and your lats will make attaining front lever strength much easier. After all, the body is designed to work as a unit. This was a MAJOR mistake from me. I trained pull ups and push ups back when I was a noob – all it done was give me a shoulder impingement and made my scapular retractors non-existent! Some people sing the praises of front lever rows (tucked, open tucked or any relevant progression) like they’re the answer to the world’s problems. Don’t worry, if you don’t train front lever rows you’ll still be at no lower a risk of cancer and the world will still be facing climate change. Can you guess my stance on the front lever row yet? I went through a spell of doing Grease The Groove with tucked front lever rows and really found them to do very little practised alone. The issue with this move is you spend very little time with your arms straight – and the front lever is a STRAIGHT arm movement. More evidence of bent arm horizontal pulling not building the front lever well is how weak I am at body rows and general rowing movements. I can hold a full front lever at a bodyweight of 84 kg and there’s girls who can do bodyrows with better retraction and form than me! The point here is this: when it comes to front lever, training straight arm retraction and straight arm scapula work in general, will carry the most results. Bent arm work is still crucial for all round structural balance and athletic performance but isn’t crucial for developing a front lever. In terms of sets and reps these should be in the range of 3/4 sets of 10-15 reps, sometimes even higher, due to the nature of the muscles we’re trying to target; most are slow twitch in nature. Doing so will compliment the higher intensity nature of the front lever specific training as well. What 1RM Weighted Chin/Pull Up Do You Need For A Front Lever? This is a reddit and gymnastics bodies forum favourite too, with everyone offering their 2 cents. The bottom line here is there’s no answer. It will always vary from person to person. I can say my one rep max in a chin up is around 52 kg added. As a percentage of my bodyweight this is 62% – short of the quoted 70-80% pull up (my numbers are based off chin ups) number that’s said to be needed. One thing I’ve found (that’s also another hot debate) is straight arm pull strength seems to indirectly build bent arm strength. Case in point: in the latter portion of 2017 I did a + 45 kg weighted chin up as a one rep max and didn’t train any real pull ups/chin ups, with the exception of low volume strict muscle ups occasionally. All I did was mostly front and back lever training……..in late February 2018 I manged 2 reps with 45 kg added (no warm up). The takeaway for you is simple: when it comes to advanced moves like levers and static holds, specific training is the way to go; you get better at what you do and practice. Don’t worry too much about trying to achieve arbitrary numbers off forums in order to get the front lever, because there’s no real one-size-fits-all approach here. A few months ago, I covered this topic in application to a variety of calisthenics static holds (tips for faster gains with front levers, back levers, planches & human flags) and basically made the case for dynamic exercises > static exercises for obtaining the main levers. My stance hasn’t really changed either. Static holds, while being good for tension control & development, don’t target the necessary muscles through the entire range. You would be much better served performing full range moves – think dead hang front lever pulls to inverted hang and German hang pull outs (for back lever). Reading the article referenced above will lead you on the right path and offer a more comprehensive set of ideas for all 4 main static holds. I’d be lying if I said I never trained static holds at all during my journey to the front lever but they certainly weren’t a centre stage feature. One move that helped me and will most likely help you is the active hanging scapula pull (mentioned earlier). I would do sets of 5-10 second holds and really drive my scapula down and back as far as possible. The idea here is to end up above horizontal – the guys with strong front levers will be able to get there! What About The Long, High Volume Holds? Again, not to beat the horse to death but this mantra that you must do really long duration sets to get a front lever really needs to die. The case for long, high volume holds is doing so develops the connective tissue and thus, prevents/reduces the risk of injury. While I’d agree that connective tissue health is crucial and must be respected, I’d disagree that long duration static holds are the best way to develop it. Your higher rep bent arm work develops connective tissue plenty and if you’re not doing your groundwork with the basics (rows, pull ups etc), then forget about advanced level static holds. Period. In the video above, Dominik Sky also shares the same opinion. The point being, burnout and endurance work can have its place but you shouldn’t be scared of higher intensity holds. Granted there are some street workout beasts front levering for 30 secs + but for the most part, your front lever will be in the neighbourhood of 5-15 secs. Note: This doesn’t mean use 7 resistance bands and do full front lever when you can’t hold an unassisted tuck. Frequency – How Often To Train The Front Lever? This will be the most ‘state the obvious’ section of the article and where I’ll reiterate: If you want a front lever then you must train for a front lever……..and often! I used to train the move sporadically and whenever I felt like it. Then I’d dedicate a session or 2 per week to it. I was still front lever-less! What worked was upping the frequency to almost every other day (depending on how my body felt) – that’s when things really picked up and I felt I could develop the necessary body tension in the position. Not only that but you become more confident as you train the move more regularly. How Long Will This Sh*t Take?! I remember it clearly. New year’s eve 2015. I was messing around with skin the cats at the time and had a reasonable tucked front lever. While on a night out I found some bars and was trying one leg front lever holds. That night I announced I would have the full lever by the summer of 2016. ‘Give me 6 months and I’ll be there!’ The confidence arrogance was real. It actually took me an extra 18 months on top of the magic 6 months I thought it would. Don’t get me wrong, if I had trained specifically for the front lever at a reasonable frequency, I would’ve achieved it sooner no doubt. 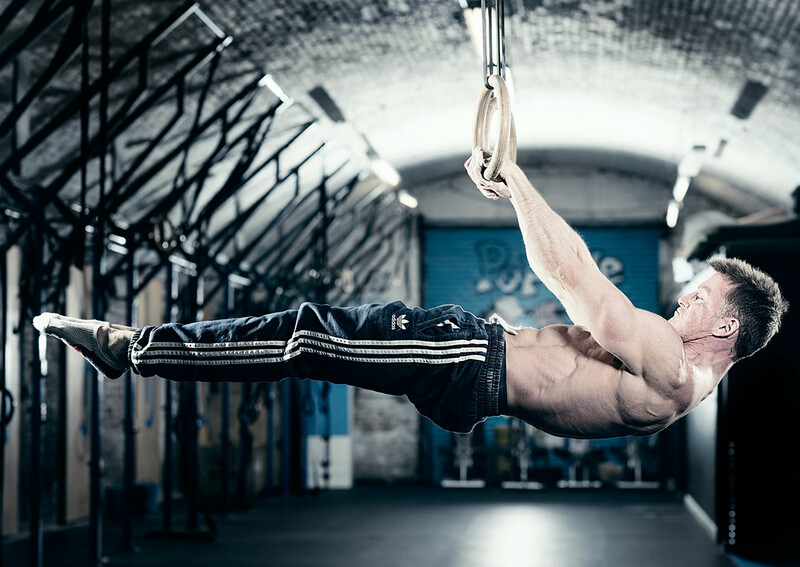 Interestingly enough, I chatted with Sven Kohl from Calisthenic Movement (read my interview with him) and Lee Wade Turner, both told me the front lever is a move they must train regularly or they lose their hold! This should illustrate just how beastly solid front lever holds are. The Front Lever is almost entirely a strength exercise. Strong lats help but aren’t the only thing to focus on. Straight arm scapula retraction and depression work is worth more than bent arm work. Obsessing over exact ratios in weighted pull/chin ups is useless. Yes, they do have carryover but there’s never an exact figure. Higher frequency training works best. Obviously intensity needs to be monitored too. The front lever is a move that will likely ‘come and go’; you’ll not always be able to hold it until you get to insane strength levels – think Marcus Bondi! Long static holds are inferior to dynamic exercises at higher intensities; there’s many people with awesome front levers that can’t do tons of 60 second tuck/advanced tuck holds. Dominik Sky has one of the best and most comprehensive videos on training for the front lever, in my opinion. The levels shown are in a nice scaled order and his training structure would work well too. Check the video out below. If you’re not gunning for the front lever but are looking to develop other calisthenics holds, check my post (Tips For Faster Gains With Front Levers, Back Levers, Planches & Human Flags) where you’ll find some applicable training ideas and it may help expand your horizon in terms of options. If anyone would like more info or clarification, hit me up in the comments or feel free to email me (straighttalkingfitness@gmail.com). Next Next post: Foam Rolling: Yes? No? How? Why? Yes indeed! The more tension you can generate throughout your body, the better! You need to ensure the hips don’t pike as well, which is a battle I always face! Straddle front lever is easier than legs together due to the leverage. 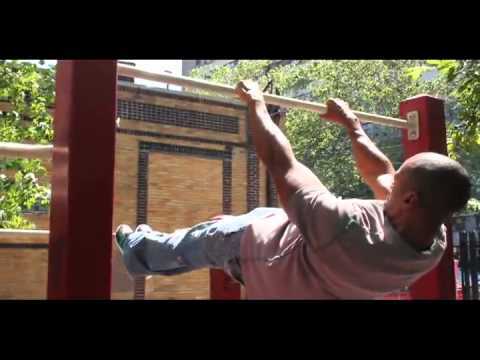 Straight Talking Fitness What YOU NEED To Know About The Front Lever!